Taking A College Class | Strategic Presentation Methods! The photo I chose is a photo of a meeting taking place between a student and a career services representative. I chose this because in our video we will be discussing how career services can be beneficial to every student in many different ways. In my opinion, I thought that this picture accurately portrayed a career services office and can show what a great tool career services may be to a student. With this, students can be linked to a huge variety of resources when deciding on majors, thinking about courses and career paths, and just thinking about their future in general. This is a great way for students to be a step up from their peers and ultimately land a job in the real world and I highly encourage it for every student. For our final project in my strategic presentations class, me and three other group members are required to produce a short film about the benefits and strategies that come from a career services office. Although we have many ideas running through our minds and the brainstorming and story boarding is going wonderful, there will be a time when we have to actually put everything all together! And of course, we can’t have a film without any music behind it! So what better background music to play in a short film other than elevator music! I found this song on Jamendo and I could really see how my group and I could utilize this in some way or form into our project. It is a very relaxed tune and has a nice feel to it. I think it would go wonderfully into some of the scenes where maybe we have little to no dialogue and it would be helpful as to stitching together a silent scene where a lead is doing an actual action of some sorts. Either waking up and getting dressed or walking on the way down to career services, I think that this song will fit nicely into most any scene. I had trouble uploading the music file onto this post so here is a link to the song! check it out! This video probably describes the idea behind my group’s project the best! This is a video that depicts and says what a student is thinking and going through when deciding on a major! It shows that a lot of enthusiasm is put into picking a major and explains that it is a definite plus to be excited about your major and choosing it! For our final project film, we have decided to film a video about an average college student choosing a major. We hope to depict the excitements and problems that one faces when thinking about a certain major and hope to convey that it is a do-able and exciting process to go through! I think that this video will surely help us in some way shape or form when creating our final project video. If anything, it is a great and informative video about a lot of the content that we hope to include in our project! This past week I was not required to post anything new or interesting in this blog. In fact, my strategic presentations class worked on our midterms instead. Each of the students were to take everything they had learned about blogging and using the tools on our computers to create a whole new blog about anything we wanted. At first, I was excited. Finally, I would be able to showcase what I knew and learned and make something that allowed me to be creative while still incorporating the things that I wanted to in the blog. Basically, I loved the idea that I was given more freedom for a blog.. HOWEVER, when it came time to making my blog, my bliss and enjoyment took a huge hit. Honestly, deciding what to make my blog about what the hardest most annoying aspect of the whole project. Believe it or not, I did quite a bit of soul searching in my time of deciding what my blog should be about. I even asked a couple friends who I thought knew me pretty well! They told me things like.. make it something that you enjoy or are passionate about and love. Yea.. that really narrowed it down… -.- Anyways, long story short, after a long while of thinking, I found a blog subject that I really fit to who I thought I was. Thus, I decided on a music blog. Music has been a huge part in my life for my 20 years on this planet so far. The truth is… I was one of those Asian piano prodigies growing up. I started playing when I was 4 and a half years old and for the most part enjoyed the sounds that I produced. Shortly after starting up piano I picked up the violin and the guitar fairly easily, before joining the school band as a percussionist. Honestly… I kinda hated the practicing and the recitals.. It was mostly all classical or jazz music which was kind of a bore for me. However, after middle school I started playing some of the things that I enjoyed. I took a music productions class that was taught by my high school band teacher (the easiest A probably in the history of high school courses) and tampered a bunch with programs like logic pro and other cool stuff. Here I learned how to improv and put together some really really nice music that I could call my own. So you can tell that I really liked music and it was a huge part of my life. Even now in college where I don’t have much of a chance to play a lot of music, I still find myself listening to music every single day. Whether it be on the bus, in my room, or just listening to some Sunday service church songs… music is still everywhere. ps. Here’s to Theresa Lee for being my date to the middle school dance! hope you’re doing well! In this week’s assignment, we were required to use a really cool tool online called screencast o matic! I have never really heard of screencasting and thought it was really cool to learn about how people recorded content on their computer. Haha! I literally just thought they stuck a camcorder right in front of their computer screen! Nevertheless, this was a pretty good experience for me and I found it to be fairly simple. It was fun looking at someone’s ePortfolio and comment on that and showed my likes and dislikes about it firsthand. This week I sampled the ePortfolio of the suggested site Weebly. It featured an art portfolio of a great artist named Kekai Kotaki. I really liked this guy’s art! I thought it was interesting to learning more about his art and achievements and really saw how useful using the online networks to getting yourself out there in a corporate world. I think that screencasting, overall, is a great tool to know how to use. I enjoy watching tutorials of many things when I don’t know how to do things and I think that screencast is a great way to record the tutorials, especially if it is something related to the computer. I can see many computer programmers or just basic computer geniuses finding this tool very helpful when wanting to show their friends or viewers how to do something on the computer. Also, the computer gaming industry is getting immensely popular in this day in age and many times, gamers will want to record their gameplay. I think this would be a great basic way to record the gameplay that they want the public to see, which in turn makes gaming even more fun for them. All in all, screencast o matic was really awesome to familiarize myself with and I am glad for this week’s assignment. Would I do this and play around with audio editing again if I wasn’t required to? I’m pretty doubtful.. I thought I did a pretty good job on my assignment this week. However, this is just another one of those things that I feel like people can work hours and hours on it trying to perfect one audio file, but there still could be countless things that you could do to make it better. On another note though, I have always saw myself as someone who was very musical and loved listening to music. (being asian and playing the piano and violin for almost 10 years didn’t hurt much either..) So I think that maybe if I knew a little bit more about the editing part of things and had a lot of help behind me in learning how to work some high end musical editing programs (such as logic pro) I would think that it might turn into a hobby for me. But as of right now, I am just glad with the work that I have done and hope you guys enjoy it as well! This week my wonderful teacher assigned to our class to each have a task of designing our very own header picture for our blog. The assignment seemed easy. The point was creativity. We had to make sure our headers communicated something about us and who we are both as a person and a student. At first, I had this crazy idea that it would be easy to mash two images together for a header. However, to my surprise, this was not an assignment I particularly found joy and peace in.. It is safe to say that when it comes to making and editing my own image, I have a bit of trouble. First, to describe a little bit of what I did for my picture I chose two pictures to mash together. 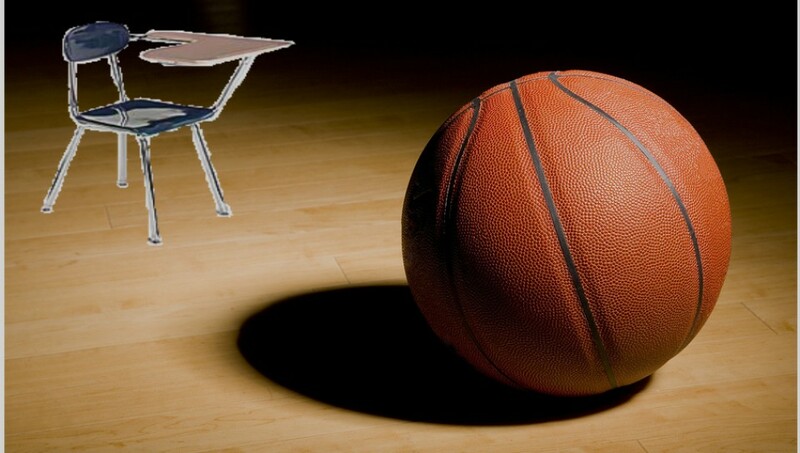 I chose the background as a hardwood basketball court with a basketball in it and another picture with a of a college school desk. I picked these two pictures simply because I see myself finding a lot of enjoyment playing basketball with my friends for fun but I also know that the biggest thing about me right now is that I am a student trying to reach a higher level of education. Thus, comes to the mashup of these two pictures. Easy right? NO! 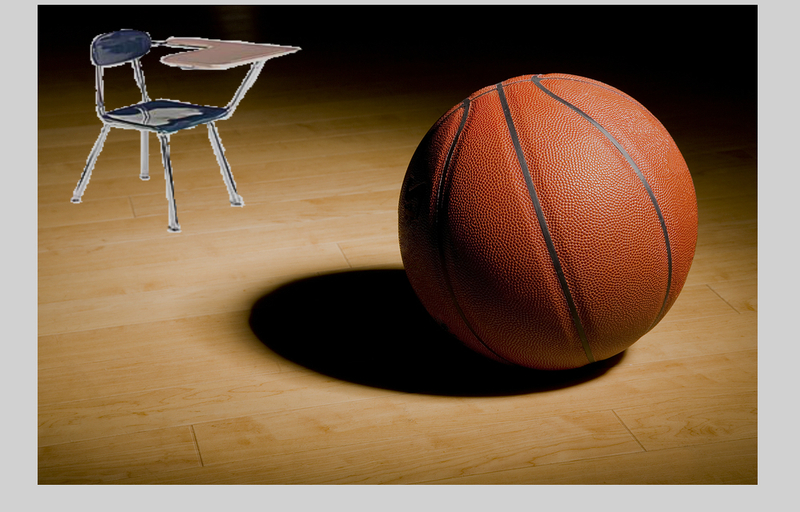 i thought it would be a sinch; just put a picture of the desk and make it look like it was on the hardwood next to the basketball. However, I found this particular assignment very tedious and almost endless. I thought that there was just too much to do in order to edit a photo in such a way and I found it hard to get it perfectly the way I wanted it. I think what many people may struggle with in this image editing assignment is not knowing how to do certain things and use tools to do them, but is the fact that when we see an image in our mind and want to completely and perfectly put that idea down on a paper, it can sometimes be frustrating when it isn’t 100% perfect! But, I guess this could definitely go both ways. After thinking about it some more, I realized that this very thing that I hated about my experience in image editing could in fact have a light at the end of the tunnel after all. I think that the fact that being a bit of a perfectionist and getting frustrated taught me something really important about using pixlr and editing images. I now understand that in this sort of business (editing images on pixlr), there is always something else to do! I slowly realized that no matter how much or how long you think you’ve spent on a picture, there is still countless things that is available for you to do to enhance it and make that picture look the way you want it to. Here’s the picture I created. Enjoy! To draw comparisons to the reading due for this week’s class, I think that this can connect to Colemean’s article about hackers and trolls because, often times, people use image editing skills to modify and change pictures to make it seem like someone or something is another thing that they are not. 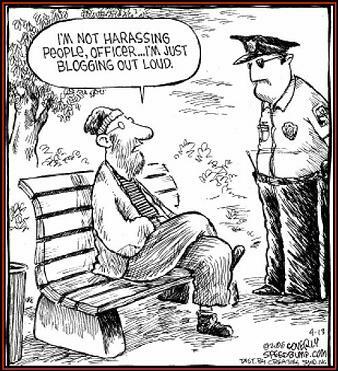 This can be funny or amusing to some people but is ultimately hurtful to those who are victims of this. This is a perfect example of what Coleman pointed out in his article about how online trolling and hackers are becoming a huge problem in the online world of the web. One thing to always be mindful of is thinking about whether or not some people would be offended or hurt by the things that pixlr or photoshop can make and keep away from those dangerous situations. I have to say, starting up my blog was, to say the least, a bit tedious. I’ve never really blogged or done anything along the lines of blogging other than updates on my Facebook, so it was at least a good learning experience! However, after a bit of playing around with the functions and content on wordpress, I was able to appreciate the concept a lot more. I think the capabilities that I have found on wordpress have given me a rather wide array of chances to show my creativity in a simple and “fun” way. I never would have started blogging if it was not for this assignment and I am grateful that I was introduced to it. Blogging can be a great way for me to share my thoughts and opinions while at the same time allowing me to accurately portray my personality in a way that I want it to be shown. 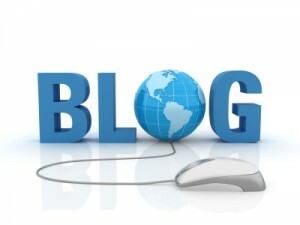 This concept of posting blogs on the web really opened up my eyes to an interesting and exhilarating practice. In Bob Dunn’s article, “5 Interior Design Tips to Make Your WordPress Blog User-Friendly”, the author makes a really great comparison of blogs to someone’s own house. This idea really gave me the spark in trying to enhance and personalize my wordpress blogging site to fully represent and reflect as much of me as possible. For some reason Dunn’s comparison really hit home (lol! see what i did there?) to me and showed me that a blogging site can be such an amazing functionality when aspiring to put your opinions and thoughts down on something that is concrete. With this, I was inspired to really create my blog as my own and give it as much personality as I could. In terms of Gabriella Coleman’s article on crimes with technology, I didn’t see much connection to the hacking and other crimes she talked about and blogging. However, I will say that I adhered to how she brought up the idea of trolling as a crime. I think that this could be brought far enough to even say that a lot of cyber bullying can happen in these types of public functional technologies. There are many instances where harassment on online public social websites is an issue and have led to putting the well-beings of many individuals into harms way. I think that this can definitely be something that should be taken into account when bloggers and other social updater’s get into sites where harassment and cyber bullying has the potential to become an issue.